Brie Larson says doing actual flight training as a prep for ‘Captain Marvel’ wasn’t just intense, but made her sick too. 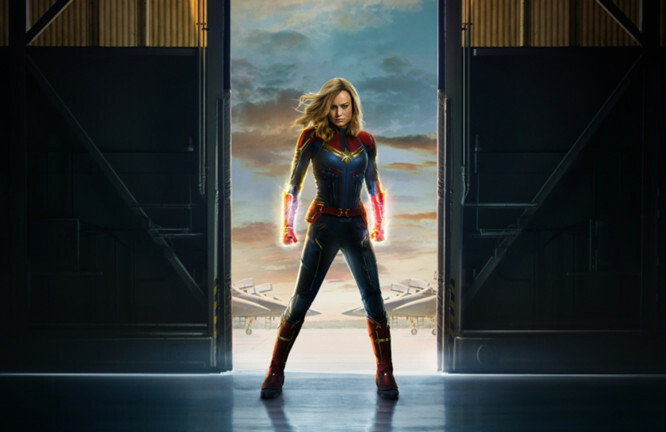 The Marvel Studios film introduces the MCU’s first standalone, female-franchise title character — Carol Danvers aka Captain Marvel, essayed by Larson. “Oh, I puked a lot. That’s part of how I got my call sign. All of the pilots were like you are not supposed to tell anybody that, and I was like ‘I got no shame’,” Larson said in a statement. She added: “But we were simulating a dog fight, so I was like flipping around all which way. My pilot was so incredible and super-talented. It was just amazing to feel all of that, especially once we were back on set. When we were simulating a barrel roll, I was able to recall that exactly, what that feels like, what your body feels like, how hard it is to breathe. Set in the 1990s, ‘Captain Marvel’ follows Danvers’ journey as she becomes one of the universe’s most powerful heroes. Based on the comic book series, first published in 1967, ‘Captain Marvel’ also stars Oscar winning Brie Larson as Captain Marvel, Samuel L. Jackson, Ben Mendelsohn with Annette Benin and Jude Law. Larson also said that her strength training didn’t just transform her physically, but also helped her prepare mentally. “A huge part of Captain Marvel is her strength. I knew if I could go through that experience, I would get closer to her and I’d understand her,” she said. The film is out in the UAE on March 7.